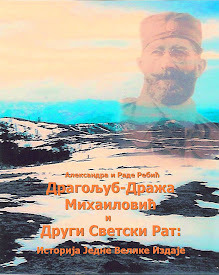 In 1943, a second major novel on Draza Mihailovich and the Chetnik guerrillas was published in the United States by E.P. Dutton in New York. 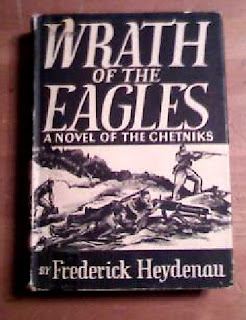 The novel, The Wrath of the Eagles: A Novel of the Chetniks, was written by Austrian-born émigré author Frederick Heydenau who recounted the emergence and exploits of the guerrilla resistance movement led by Draza Mihailovich. Published by E.P. Dutton & Co., Inc., New York. Translated from German by Barrows Mussey. 318 pp. 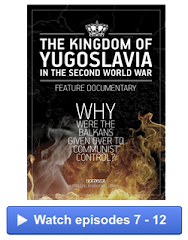 As more and more news accounts of the guerrilla war and resistance movement in Yugoslavia appeared in the U.S., Draza Mihailovich and the Chetnik guerrillas assumed mythic and superhuman proportions. This impact was powerful and all-embracing. Twentieth Century Fox produced a movie, "Chetniks! The Fighting Guerrillas" starring Philip Dorn and Anna Sten. 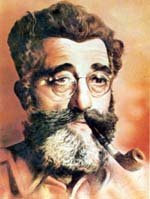 Draza Mihailovich appeared on the cover of Real Life Comics in November, 1942, as a comic-book hero. Hungarian émigré author Istvan Tamas wrote a novel in 1942 entitled "Sergeant Nikola: A Novel of the Chetnik Brigades". In 1943, a second novel on Draza Mihailovich and the Chetniks was published in the U.S. The plot of the novel revolves around the main character, Ensign Mark Stevens, an American commissioned naval officer, who joins the Chetniks, Yugoslav guerrillas under General Draza Mihailovich. His father came from Belgrade, his mother was American, and he was born in the U.S.
“No order of battle was issued. No regiments or battalions were established. Men and officers alike, the warriors called themselves Chetniks---members of a Cheta, a hundred. Their arms were nothing but rifles, including old carbines, and even breechloaders that their grandfathers had carried. Each man was an army in himself, each of his own general, alive with self-sacrifice, ready for death, and aflame with wrath. Their holy anger seemed to float above them constantly like a black cloud." Pero met the U.S. sailors who landed in boats from the submarines. Ensign Mark Allan Stevens, who spoke Serbian, was accompanied by the Commander. Stevens asked Pero: “Are you an officer?” Pero replied by emphasizing that the guerrillas did not have ranks: “The Chetniks have no such rank as an officer.” The Ensign informed Pero that they had brought gas masks because he knew that a gas attack was planned against the Chetniks, to wipe them out. Pero, however, told him that they could not operate the equipment. This forced the Commander to have Ensign Stevens remain with the Chetnik guerrillas to show them how to operate the gas masks. The rest of the sailors and the Commander departed. Stevens was to be picked up by boats that would return in several weeks or by plane because future parachute drops of weapons were planned in the area. Stevens then joined the guerrillas in their mountain retreats, explaining: “My father came from Belgrade. My mother is an American. I was born in America.” His father had been an immigrant to the U.S., changing his name from “Stefanovitch” to “Stevens”. After the U.S. entry in the war, Stevens had gotten a commission in the Navy and been assigned his first duty in the Balkans. Stevens informed Draza of the planned German gas attack against the Chetnik guerrillas. 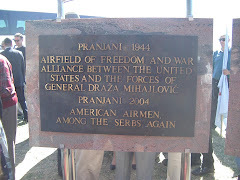 Draza responded by announcing that an attack against the German airport or airbase would be launched to set the planes and the hangars on fire. 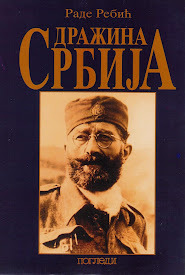 Draza stated that the “greatest danger to us just now is from Sarajevo; that’s where the base is.” He announced that he would conduct the mission himself with Pero and Ljuba. Stevens volunteered to join the group: “Suddenly an unconquerable will had awakened within him to help these men without bombers who were making an attack on an enemy airport.” Stevens decided that “it simply seemed heroic and important to destroy the airport of some enemies who, after all, were America’s enemies too.” He then joins Draja, Pero, and Ljuba as they infiltrate the airport and set fire to the planes and bombers and the hangars, destroying the airport. They also destroy roads, bridges, and a locomotive. 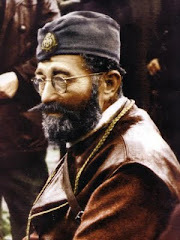 Valpotitch, an Ustashi commander, interrogated Gavro who posed as a Ustashi to give information to Draza Mihailovich and the Chetnik guerrillas. His father Risto is brought in, is given a pick and shovel, and is forced to dig his own grave and the grave of his son Gavro. Valpotitch subjects Gavro to torture to obtain information from him, using a knife to cut a strip of skin from Gavro’s chest. 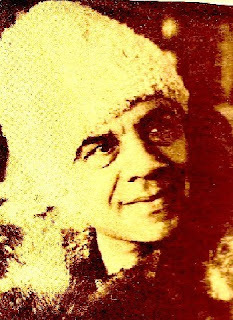 Risto is shot to death after he attacks Valpotitch with a shovel, striking him on the forehead. When Gavro refuses to talk, Valpotitch attacks him with the knife. “Valpotitch drove the blade into his throat. A jet of blood shot out….But the blade did not stop; it went on down through the chest. Valpotitch dug like a butcher gone mad; he tugged, and then held out his cupped hand, dripping with blood, toward the others. In it was Gavro’s heart.” The Ustashi then took a photograph of Valpotitch holding the heart of Gavro in his hand next to his body. The Ustashi did take photographs of their victims, who had their throats cut with special butchering knives, known as Srbosjek, or “Serb-cutters”, had their skulls crushed with mallets, had their eyes gouged out, and were decapitated and their corpses were mutilated. Frederick Heydenau (1886-1960) was born in Vienna, Austria in 1886 under the name Friedrich Oppenheimer. Educated at the Austrian Cadet School, he served in the Austrian Army during World War I in the Balkans: “During the years of his military service he spent a great deal of time in Yugoslavia, and is particularly well acquainted with the section of Bosnia where the Chetniks are fighting today.” He fled Austria when Adolf Hitler came to power in Germany and was an exile in the U.S., living in New York, where he wrote The Wrath of the Eagles in German, beginning the novel in June and finishing it in August, 1942. His other writings were: 1) Wuk der Wolf. Erzahlung. (Vuk the Wolf: A Tale). S. Fischer Verlag, Berlin, 1934; 2) Der Leutnant Lugger: Roman (Lieutenant Lugger: A Novel), S. Fischer, Berlin, 1934; 3) Jenseits von Gestern oder Der unheilige Franziskus (Beyond Yesterday or the Unholy Francis), 1955; 4) Osterreichische Rhapsodie, or Austrian Rhapsody; 5) Der Liebling von Wien. Nach dem gleichnamigen Volksstück (The Darling of Vienna: After the Folk Play of the Same Name), 1941: 6) Gouvero, 1953; 7) Hejo und Hila: Roman, 1935; 7) The Yearning to Be Free; and, 8) Auf und Ab (On and Off), 1953. Vuk the Wolf, about a Yugoslav wolf dog, was one of his most successful novels, going through 20 printings in Europe. Heydenau returned to Vienna in 1947. The novel was reviewed by Robert St. John (1902-2003) in the New York Times book Review on Sunday, June 27, 1943, pages 6-12, in Section 7, in “The Week’s New Works of Fiction; Novels about Mississippi farmers, English gentry, the Chetniks.” His review was entitled “Balkan Supermen”. St. John had been a reporter in Yugoslavia prior to the German invasion when he had fled from the country in 1941 when he was wounded in the right leg by shrapnel when German forces bombed a troop train he was traveling on. He recounted these events in From the Land of the Silent People which was published by Doubleday in 1942. In 1948, he wrote a follow-up account entitled The Silent People Speak. A reporter with NBC, he was fired after a publication entitled Red Channels exposed him as a “Communist sympathizer”. He described how “a handful of Yugoslav guerrillas fight a pitched battle with a whole brigade of Axis soldiers” equipped with tanks, heavy artillery, machine guns and “all the other instruments of mechanized warfare.” “The Chetniks are armed with nothing but a few home-made hand grenades and some old rifles.” With these weapons, they knock out almost all of the tanks, put the heavy artillery out of commission, and rout the machine gunners. The Chetnik guerrillas take 2,327 Axis prisoners in a later battle in the novel, with 17 Chetniks killed. The reader gets an “extremely distorted idea” of the ease in knocking out a German Mark VI tank “with a little TNT and some odd pieces of scrap metal.” He also finds fault with the translator for an inability to capture Heydenau’s original German language nuances. Moreover, the main character Stevens makes speeches only “a politician delivering a Fourth of July oration after too many glasses of pink lemonade” would make. Heydenau also focuses on the civil war and the genocide committed against the Serbian population by the Ustashi. 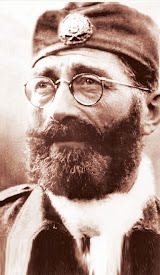 St. John noted the conflict with the Ustashi: “Although the Mihailovitch guerrillas … do fight against Germans and Italians, their real hatred seems to be reserved for Croats.” Then he gives the reason for this animosity: “All the blood-curdling atrocities in ‘Wrath of the Eagles’ (and there are plenty of them) are committed by the arch-villains of the piece, the Croats, who, until the Axis carved up the country, were Yugoslavs, too.” He criticized the author because of the “silence” about the Partisans, the rival Communist resistance movement, who are not mentioned in the novel. The novel was published when the Communist Partisan guerrillas were receiving increasing support by the British government and greater media coverage. 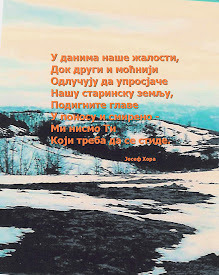 St. John concluded: “’Wrath of the Eagles,’ if you race through it merely as a Robin Hood adventure story, is exciting reading.” For St. John, Heydenau’s knowledge of Yugoslav geography is a strong point of the book whose major weakness is that it is not realistic. Legends never die because they are based on belief and myth. While the body dies and biological life ceases and is extinguished, myths and beliefs endure. Like the universal archetypes of Carl Jung or the universal myths or monomyths of Joseph Campbell, myths and legends have no time or life span and are temporally eternal. Many elements of the monomyth paradigm can explain the universal and timeless appeal of the guerrilla resistance movement of Draza Mihailovich. In the Departure Stage, the hero undergoes several crises: a) the call to adventure; b) the crossing of the first threshold; c) the metamorphosis; and, d) the “belly of the Whale”. In the Initiation, the hero goes through two stages: a) The Road of Trials, when the hero is tested; and, b) The Ultimate Boon, when the hero achieves the goal of the quest. Archetypes are “innate universal psychic dispositions that form the substrate from which the basic themes of human life emerge”. They are part of the collective unconscious of mankind. Archetypes, as defined by Carl Jung, are a recurring pattern of images, situations, or symbols found in the mythology, religion, art, and dreams of cultures throughout the world. The archetypes form a dynamic substratum common to all humanity, upon the foundation of which each person constructs his or her own experience of life, developing a unique congeries, assemblage, or aggregation of psychological characteristics or qualities. A hero is an archetypal figure or image, like mother, father, child, God, trickster, and the wise old man. The locus of the hero is not found in the physical world but is a reflection or mirroring of ourselves and of our need to grow and mature and evolve. The hero is a projection of our own subconscious, of our own self. The concept of the hero is universal because heroes express a deep psychological basis or foundation of human existence that is common to everyone. Heroes can be seen as a metaphor for the human search for self-knowledge. In other words, the hero shows us the path to our own consciousness through his actions. The conflicts that heroes undergo are metaphors that express our own quest for higher levels of consciousness and self-knowledge and self-understanding. The elements of the hero archetype are common in the odyssey of the heroic figure. The Unusual Birth or Origin of the Hero: Draza Mihailovich was adopted by his uncle after both his parents died. The Hero Leaves His Family: Draza Mihailovich entered a military career and left his family to fight in the 1912-1913 Balkan Wars and in World War I. 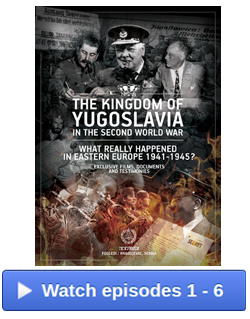 The Hero Experiences a Traumatic Event: Draza Mihailovich was an officer in the Yugoslav Army during the invasion, occupation, and dismemberment of Yugoslavia by Adolf Hitler in 1941. The Hero Possesses a Special Weapon: Draza Mihailovich developed a knowledge and use of guerrilla tactics and techniques which gave him an advantage over regular German troops. The Hero Receives Spiritual Guidance or Help: Draza Mihailovich was guided by the Kosovo Legend or Myth of Tsar Lazarus, the choice between a spiritual versus an earthly kingdom, the legacy of Ottoman Turkish oppression, the wars of liberation from the Turks, and by the history of wars against foreign powers. The Hero Proves Himself: Draza Mihailovich performed feats while on the quest or journey, to free the country from occupiers, by eluding Nazis and engaging in sabotage, ambushes, and guerrilla warfare. The Journey and the Unhealable Wound: The hero descends into an arena of unspeakable horror and suffering and experiences the trauma and injuries and wounds from his encounters with brutality, mass murder, and genocide. 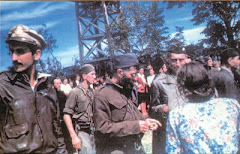 The Chetnik guerrilla resistance movement resulted in reprisals against civilians, in massacres against Serbian civilians, the taking and execution of hostages, one Serbian civilian executed for every German soldier killed by Chetnik guerrillas, and the Kragujevac Massacre. Symbolically and metaphorically he goes where ordinary and normal individuals cannot and discovers transcendent knowledge and understanding about himself. He sacrifices his standing in society, sacrifices wealth, luxury, respect, his wife, and children. The Reconciliation with the Authority Figure: The Yugoslav-Government-In-Exile appointed Draza Mihailovich the Minister of War and made him the leader of the Army of the Homeland. The Apotheosis: A higher spiritual level is attained or achieved that transcends the conventional and material. The hero demonstrates self-sacrifice and commitment and dedication that render him and his movement unconquerable. He remains resilient and unvanquished. 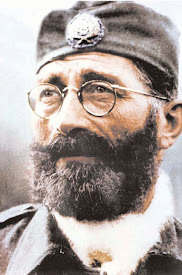 The novel, The Wrath of the Eagles, captures a unique moment and time in history, a point during World War II when Draza Mihailovich and the Chetnik guerrillas were perceived in the U.S. as “Balkan Supermen”. The U.S. public saw in Draza Mihailovich a symbol of resistance, of defiance, of open rejection of and opposition to the New Order created by Adolf Hitler and the Axis powers.